My name is Jan, I am a Licensed & Registered Dog Breeder in the UK. My British Kennel Club Name is "SedgysMiniMe". I am also a licensed Microchip Implanter. 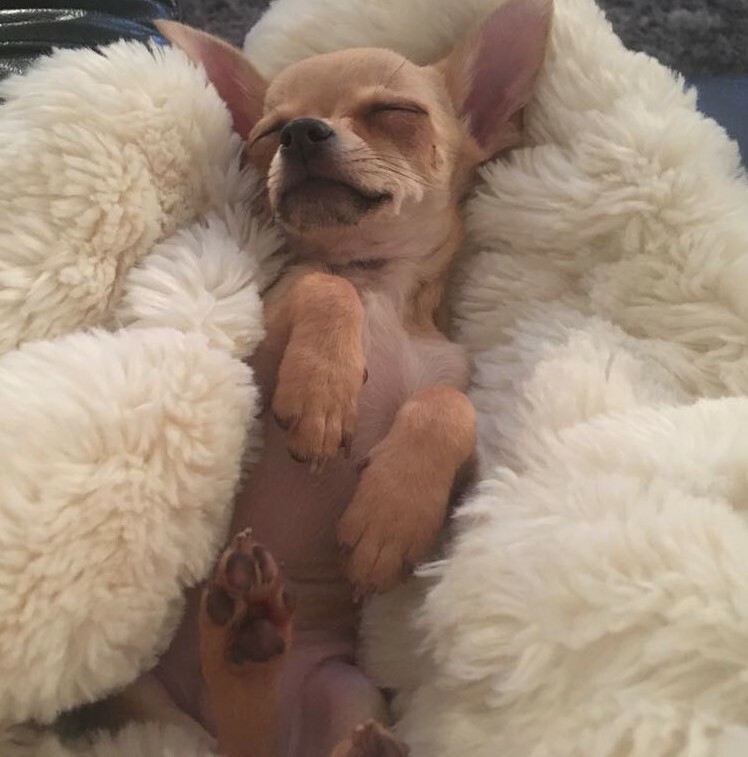 I started out many years ago, breeding Chihuahuas, then discovered the Biewer Yorkshire Terriers, I own and breed for my love and passion of the particular breeds, and I strive to produce Healthy, Happy Pups for Pets with excellent dispositions, characters and personalities. My priority is for health and temperament. I concentrate on dogs which are loving, lapdog companions, which are family friendly, and are also suitable for people with allergies. I am allergic to many breeds of dogs, so in order for me to do what I do, I have to choose a breed which does not make me ill (I do realise that everybody is different, and what might be ok for my allergies might not be right for another person). If you feel unsure about purchasing from me, please do feel free to check out my Testimonials or, by all means feel free to get in touch. And Now For Something a Little Different: I decided to add 2 new breeds to my household, the Toy Poodle and the Miniature Schnauzer. Both breeds are considered to be hypoallergenic, especially the poodle, and do not affect my allergies at all, and therefore may be suitable for other people with pet allergies too. 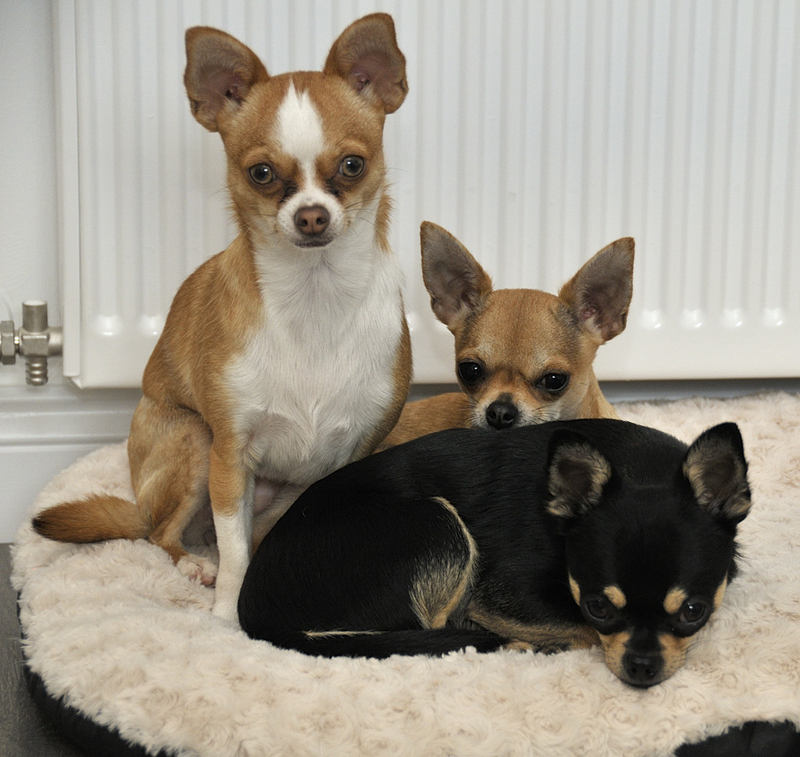 I will be continuing breeding my beloved Chihuahuas and Biewer Terriers. Please do not judge me badly for breeding four different breeds of dogs. It may sound a lot, but I am 110% devoted to each and every one of my dogs. I am at home 24/7, I do not do holidays, I do not do social events, I do not have children, I do not do weekends or Bank Holidays, even Christmas Day is spent feeding dogs, cleaning out puppy pens and picking up poo etc etc etc etc, my life is devoted purely to my dogs from the minute I open my eyes in the morning to the minute I hit the pillow at night. My dogs want for nothing and each one is cared for in the same way as they would be if I just had one dog. I have 2 x Miniature Schnauzer Stud Dogs, Rick, is pure white, which is still quite rare in the UK, and Lemmie, who is Liver, and is still pretty much unheard of in this breed in the UK. I have a white girl, Sugar, a Pepper/Salt girl called Honey, a Black and Silver girl called Sheena, and along with Lemmie I imported 3 x Liver girls also, Opel (Liver and Tan), Hazel (Liver) and Clover (Liver Pepper). Honey and Rick had their first litter in the summer of 2015. 6 beautiful pups, 1 which was pepper/salt, 1 Black & Silver and 4 Black. They all grew exceptionally healthy and full of love and very very happy little pups. I was very happy with the litter. The owners of one of the pups paid me a visit just recently, now reaching one year old he is an absolute stunner, I am very proud of him. Another pup from the litter went on to a local family and share the same vet as myself. He also is a picture of health and happiness and much loved by his new family. I had my first litter of pure white Schnauzers in August 2016, so watch this space for future white pups (contact me if you would like to be considered for my waiting list). Little Clover joined us in spring of 2016. She is a Liver-Pepper Miniature Schnauzer and we are VERY excited to be able to breed Liver schnauzers , this is a forgotten olde worlde colour in the Schnauzer and we are delighted to have been able to import our new breeding Liver/Pepper and tan "Clover" into the fold along with Hazel and Opie. I now also have little Domino, she was bred from Rick and Clover, she is what is known as a parti liver, being mainly white with liver patches. My second breed is the Toy Poodle. I only discovered my love for the poodle in 2014 when I came across a little bundle of curly apricot joy called Texan. He became the new love of my life. I discovered that the Toy Poodle is the most loving, laid back, friendliest, happiest snuggle bug you could wish for (alongside my Chihuahuas and Biewers of course), and he did not affect my allergies in the slightest. He had me hooked on Poodles in no time at all, and so I went on the trail of finding rare colour Toy Poodles. I now have Chocolate Brown, Cream/Apricot, and also little Dotty Doris (or Chuck Norris Doris as my partner refers to her) is my black/white true parti poodle pup. Parti is a pattern rather than a colour, and means that she is mainly white with black patches. It is my intention to produce stunning rare colour Toy Poodles over the years, who are as loving and loyal and friendly as my Texan. My ultimate goal would be for Chocolate Brown Toy Parti Poodles. We will see how things go, Watch This space (Parti On Down) I will be adding a new section into my website for each of my new breeds in time so keep coming back. All the Dogs and Puppies Photographed in my website, are owned and/or bred by me personally unless otherwise stated.